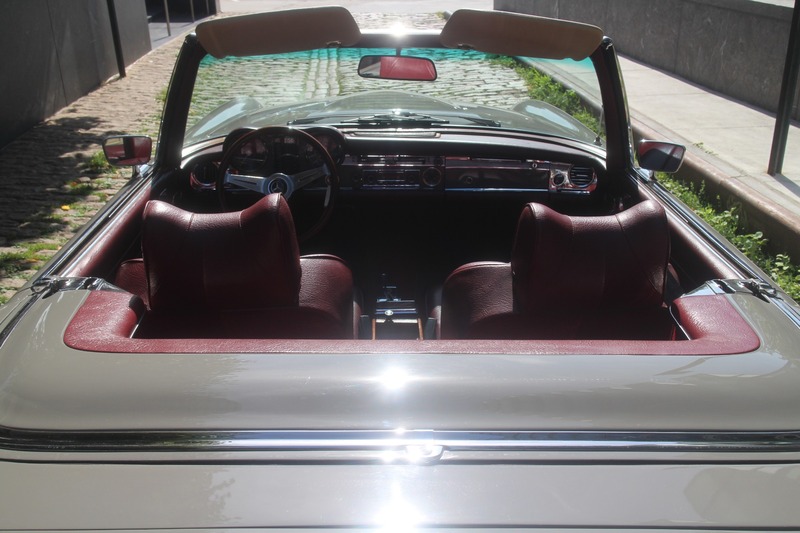 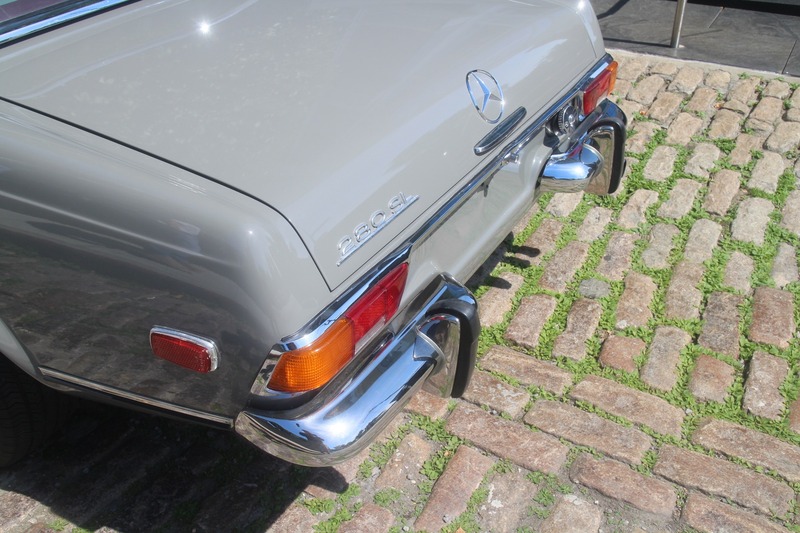 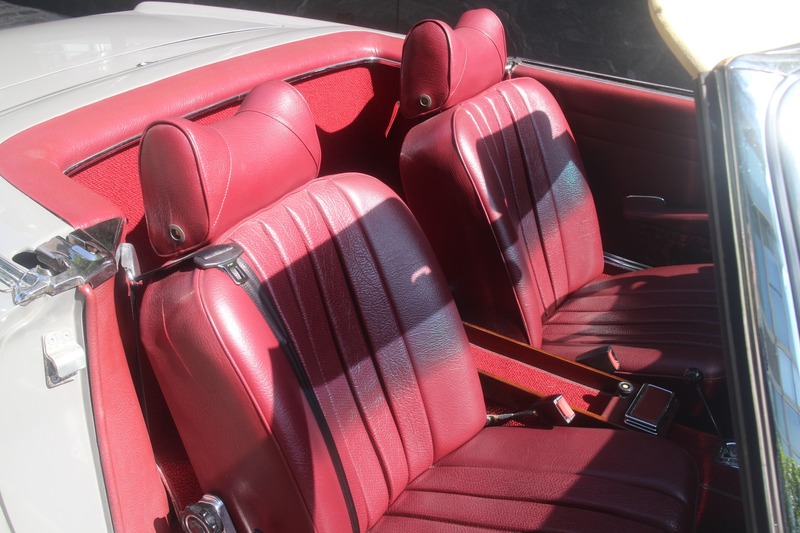 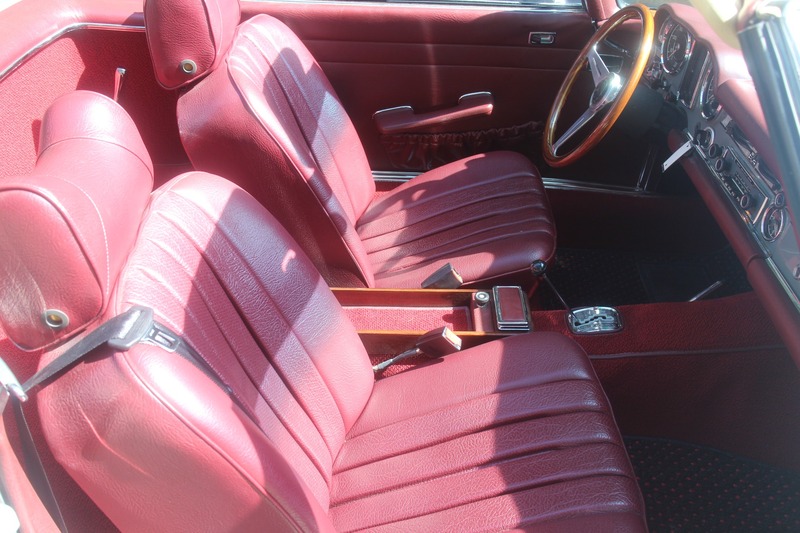 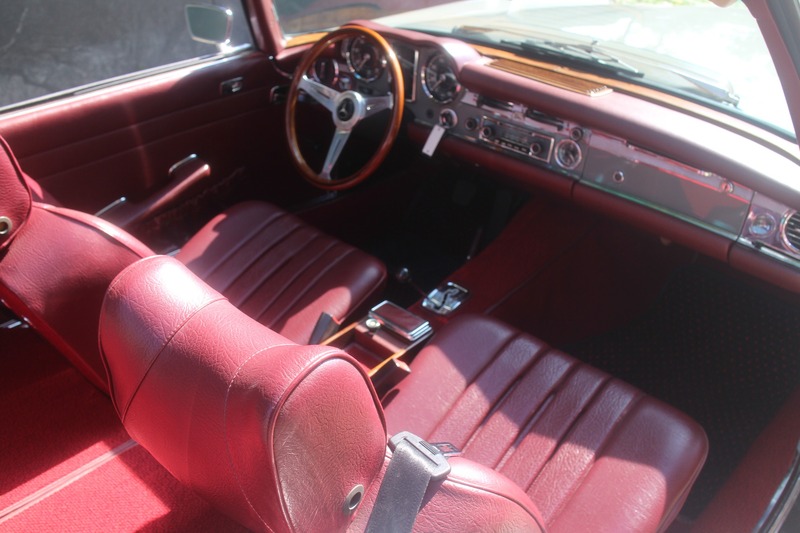 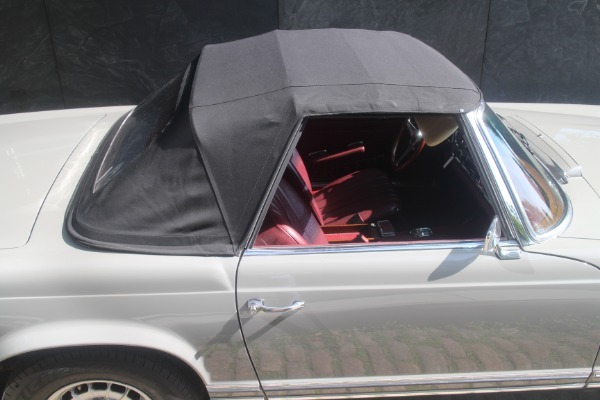 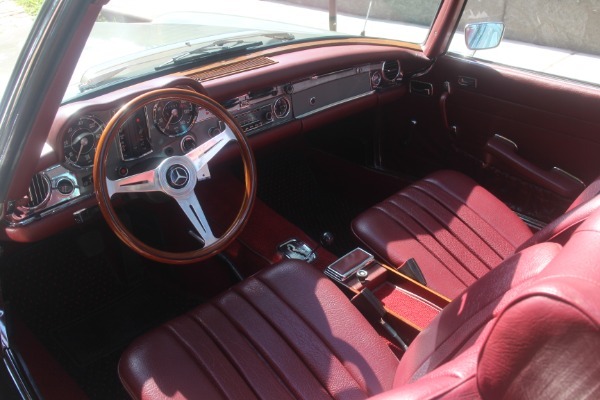 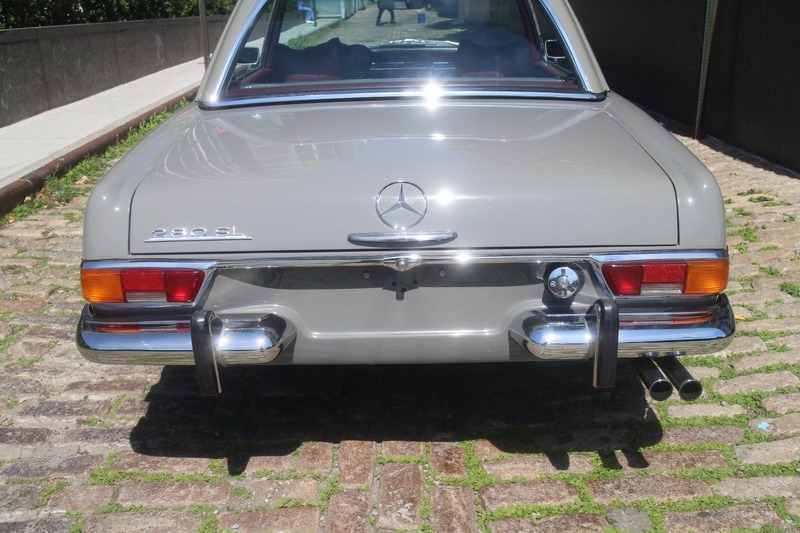 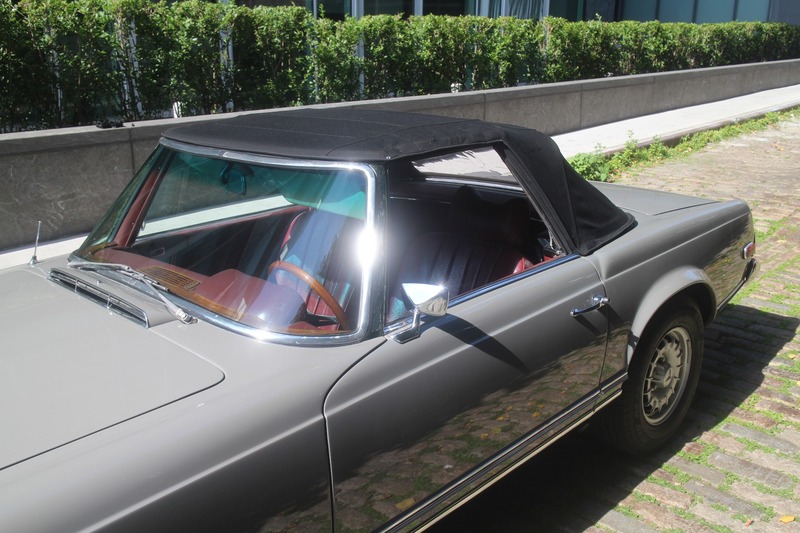 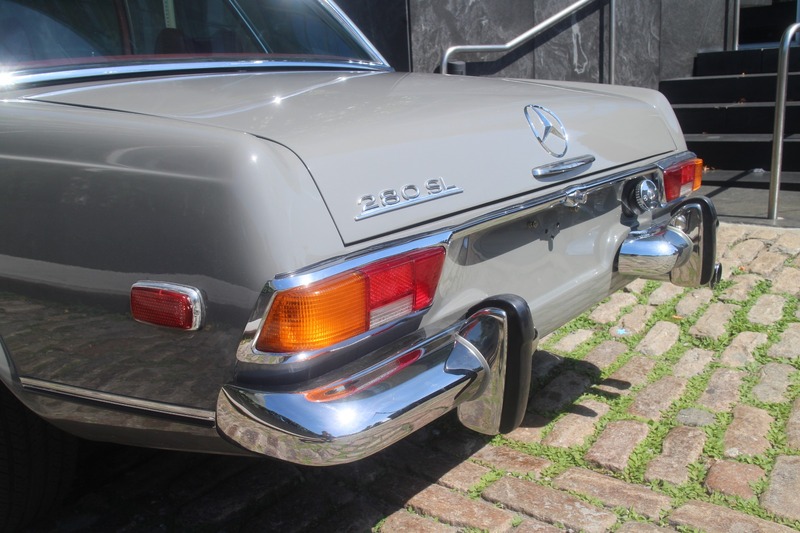 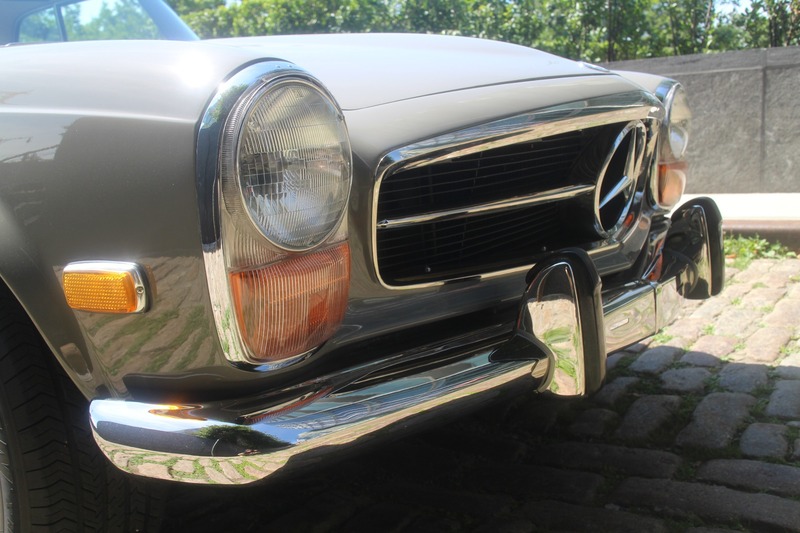 The car presented here is a beautifully restored 1971 280 SL in a striking Arabian Grey over Red Tex, a combination which is original to the car. 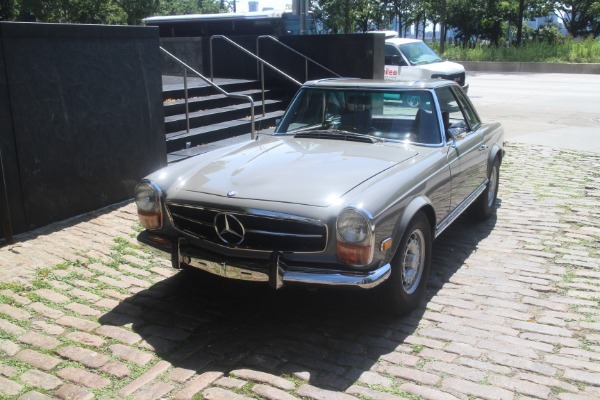 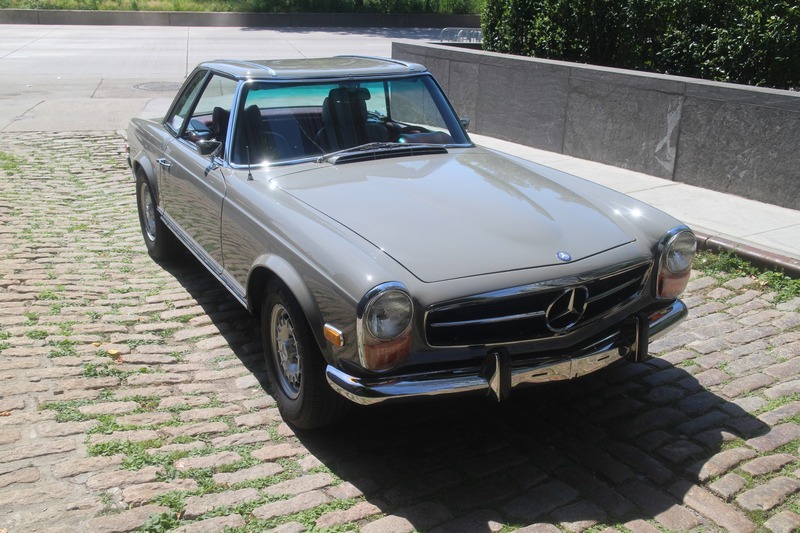 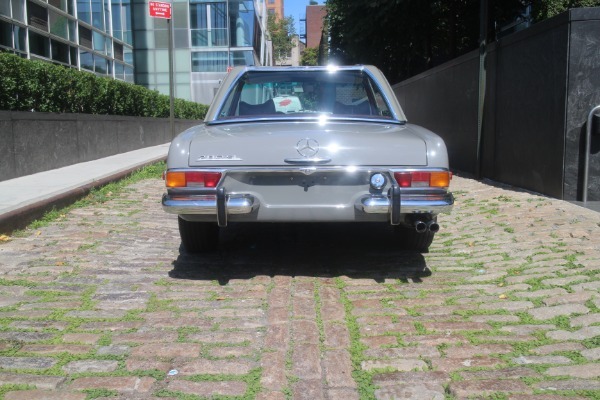 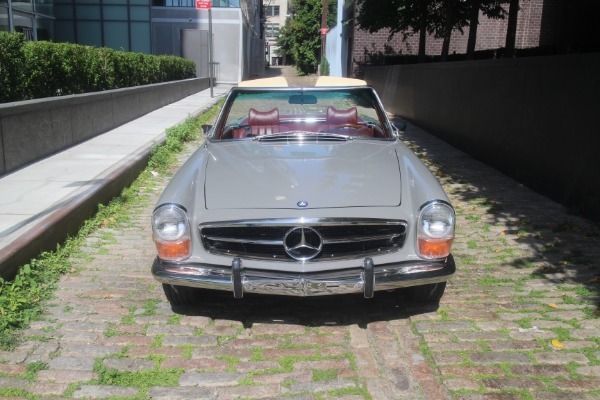 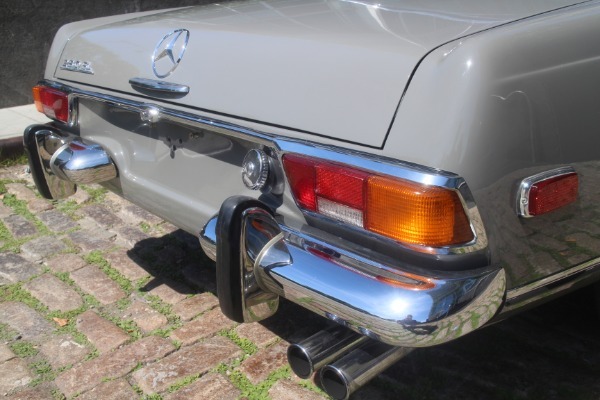 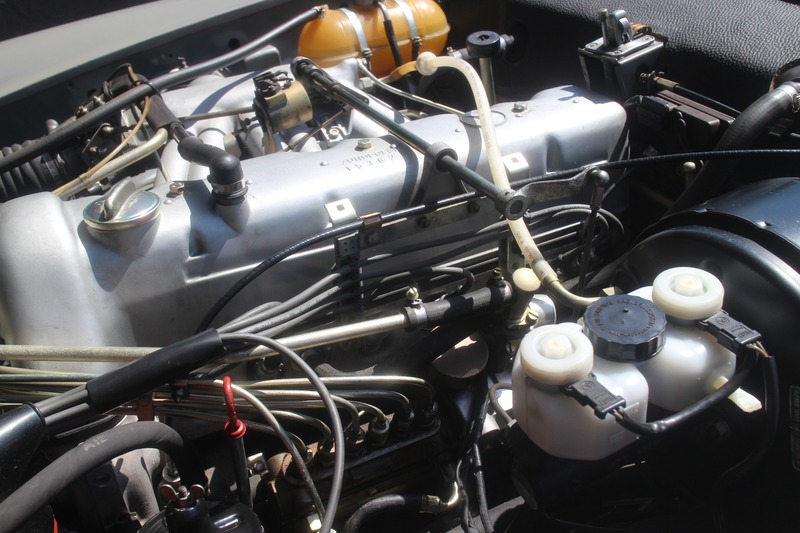 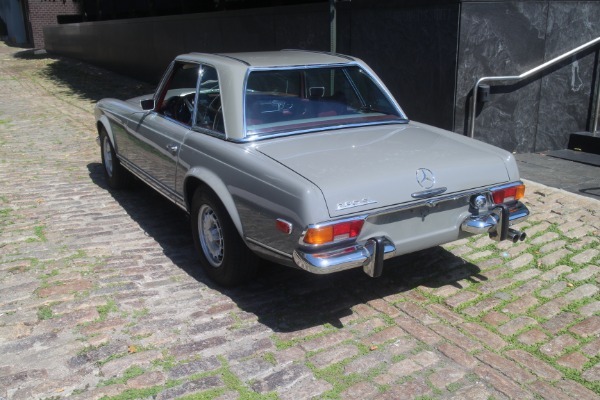 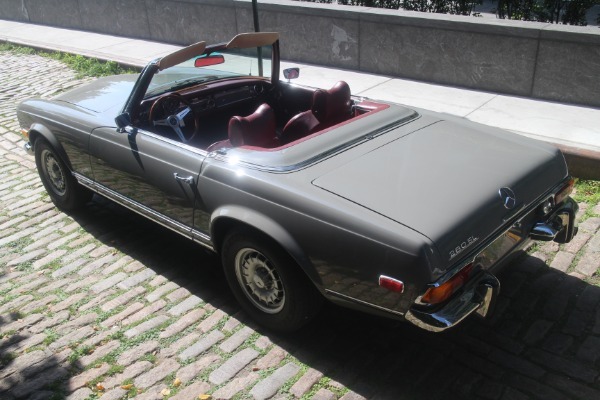 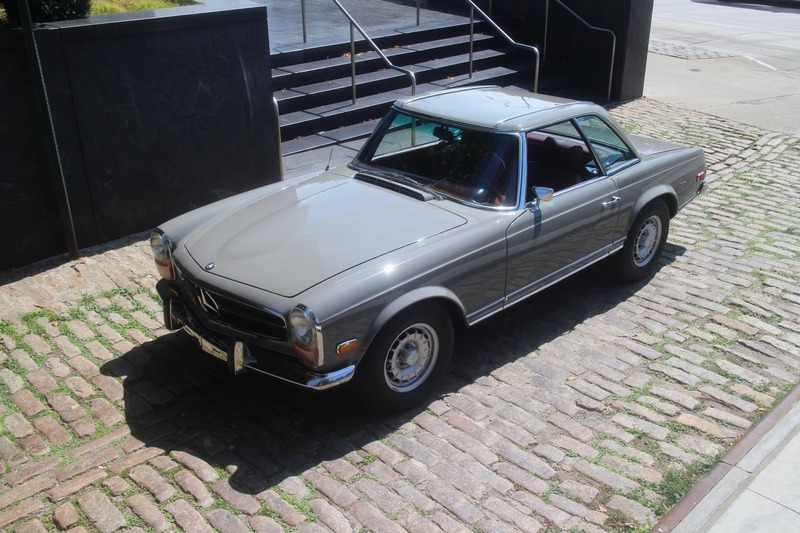 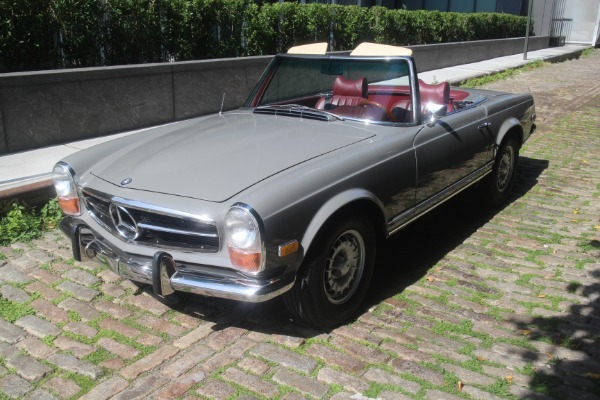 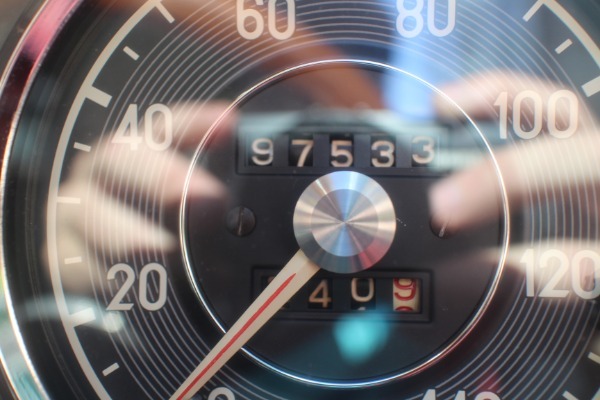 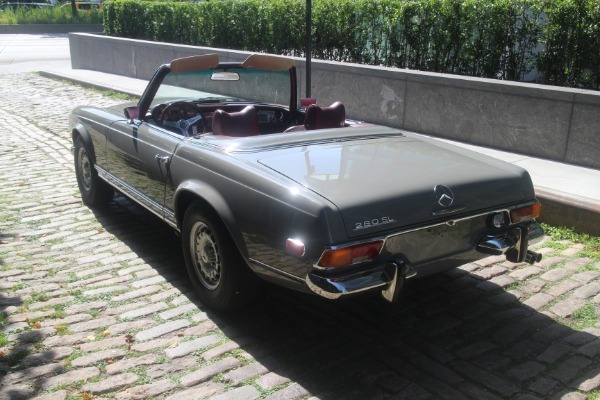 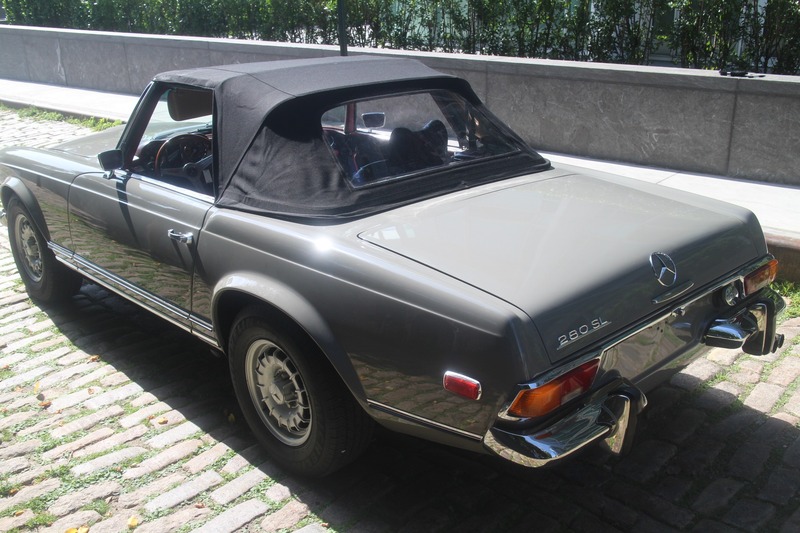 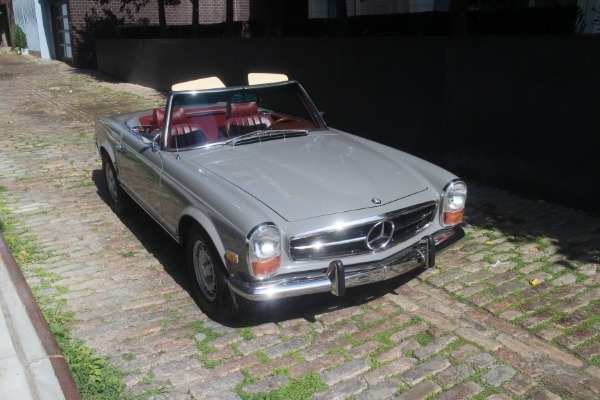 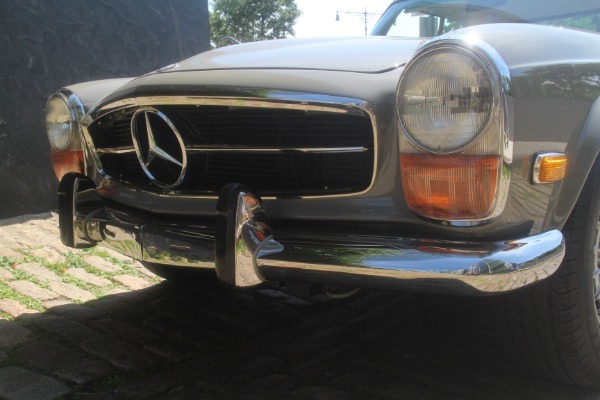 This 280 SL is a documented three owner car and was first purchased by a gentleman in Westport Connecticut. 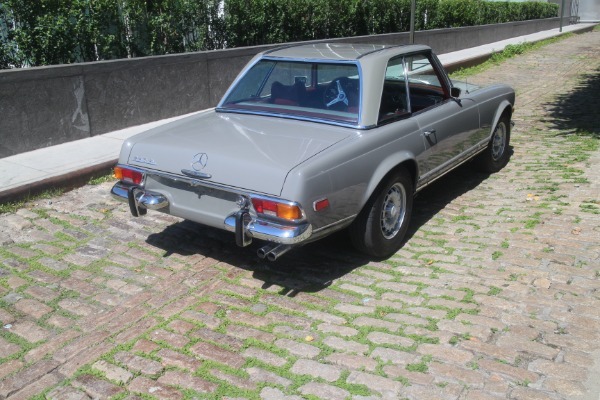 He owned the car until 1989 when he sold it to his neighbor. 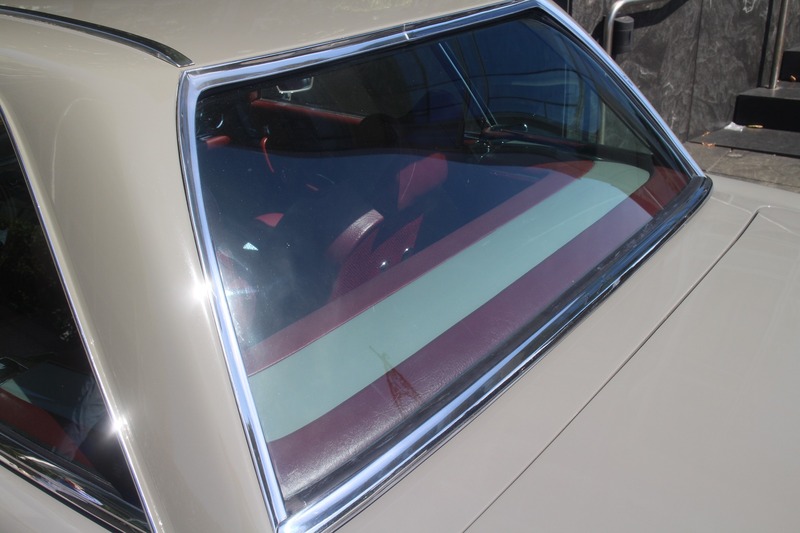 His neighbor owned the car until 2001, during which time some work was done to the car but was mostly stored. 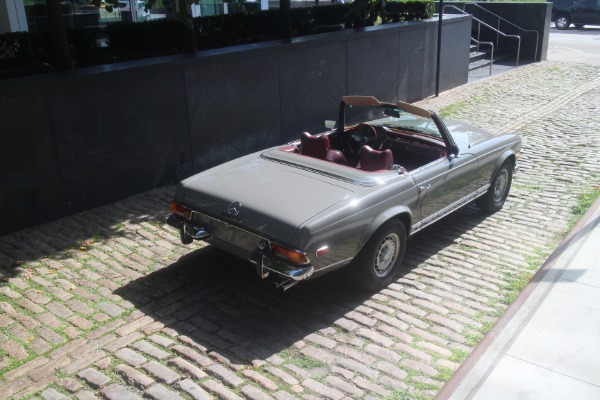 The third owner, also a local in Connecticut, initially stored the car as well. 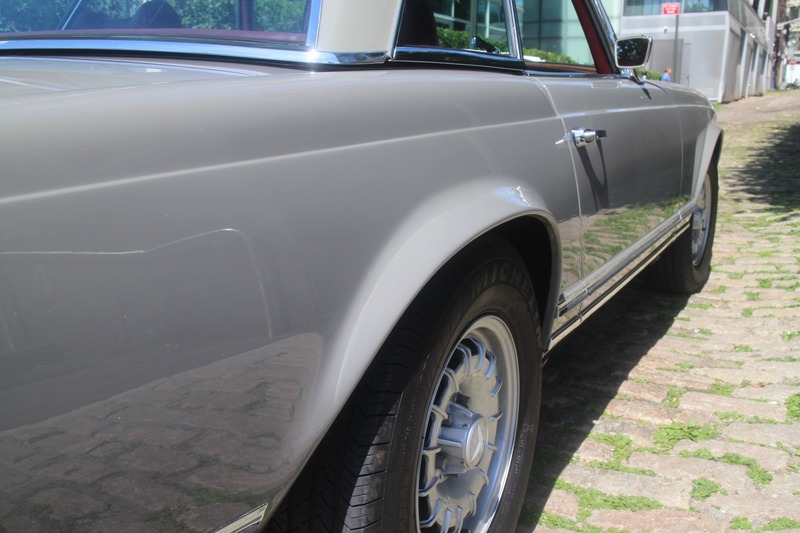 In 2007 he decided to have the car repainted in its factory Arabian Grey. 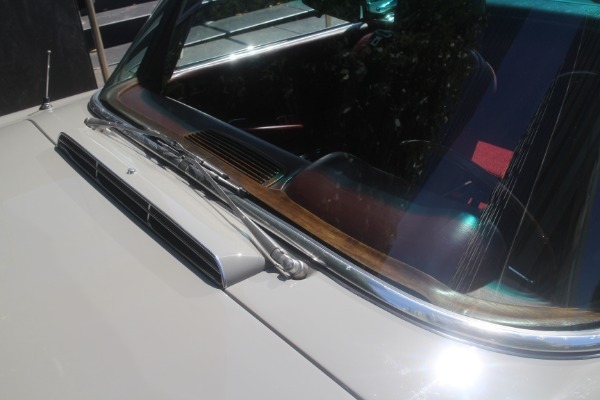 The car was stripped down to bare metal and resprayed. 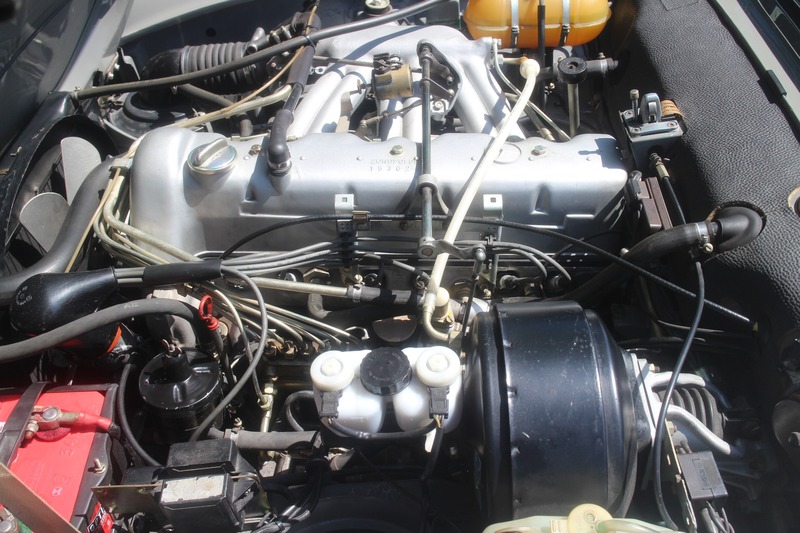 After the car was painted but still apart, the owner sent the car to a 280 SL specialist mechanic to complete the full cosmetic and mechanical restoration. 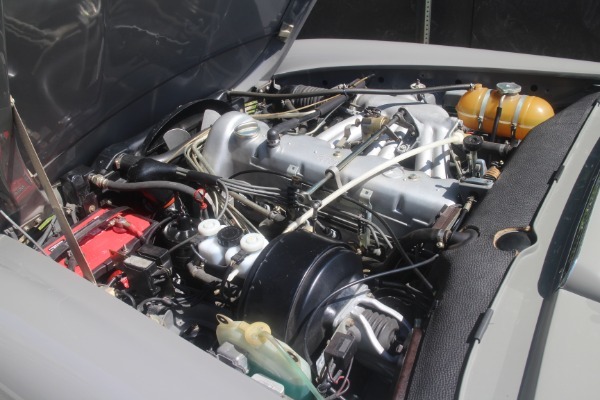 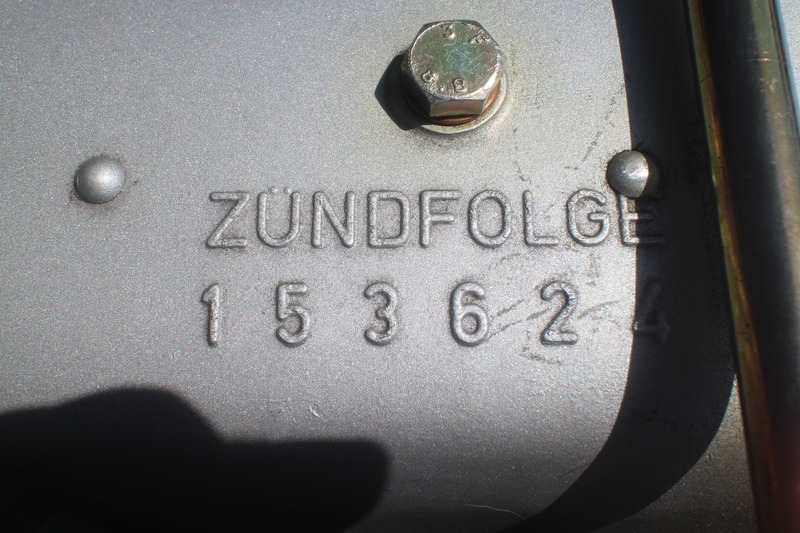 The car was put back together using new parts and a factory rebuilt engine which bears the factory plate on the block. 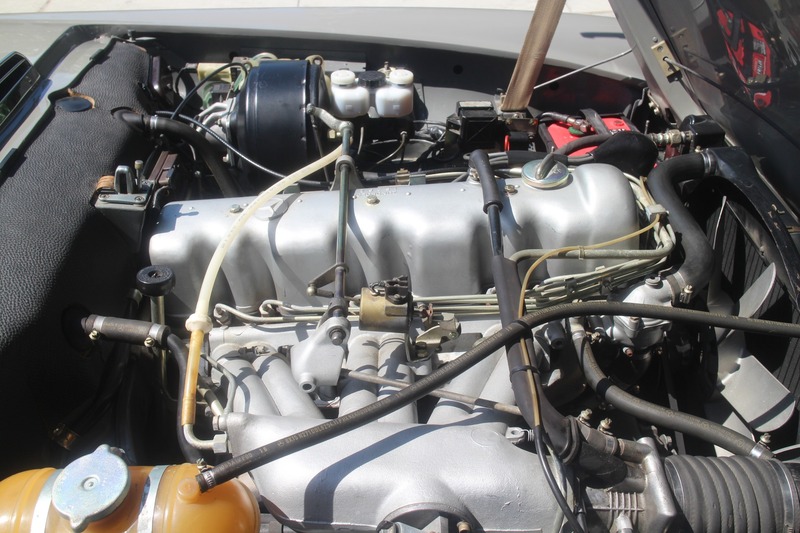 The restoration was extremely thorough and would cost considerably more than $125,000 today. Since the restoration the owner has only driven the car about 10,000 miles and it remains in pristine condition and shows only minor wear. 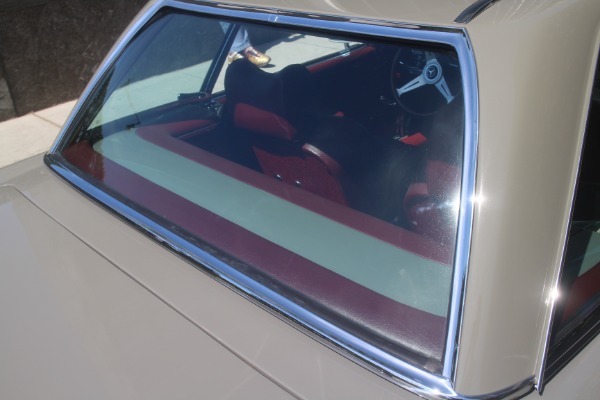 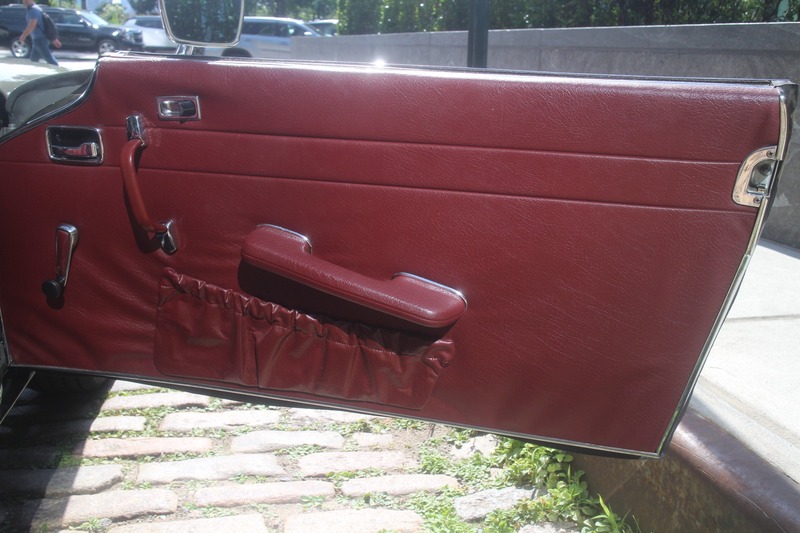 We have complete documentation of the restoration including every part that was put into the car and comprehensive photographs. 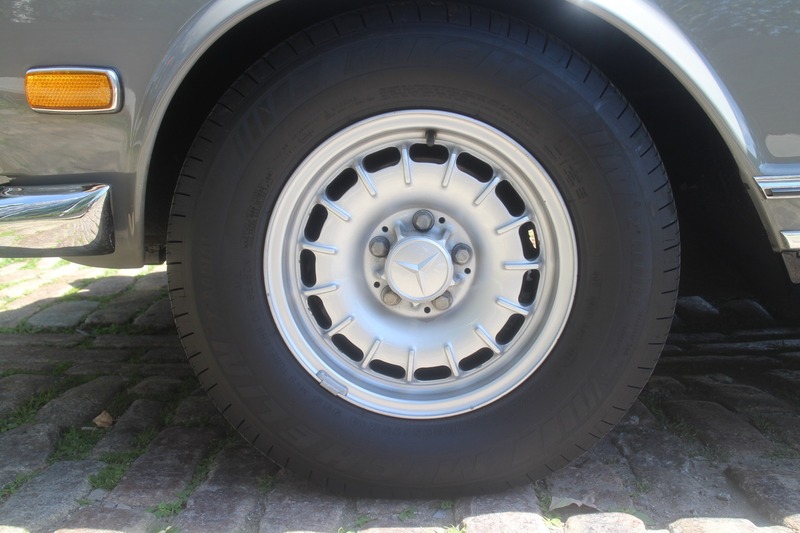 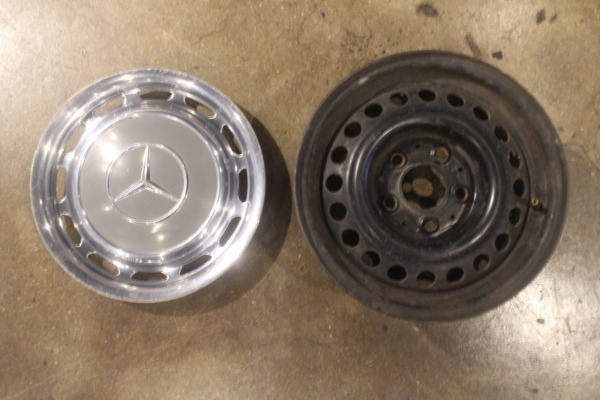 The car is currently fitted with factory sports wheels but the original wheels and hubcaps are included. 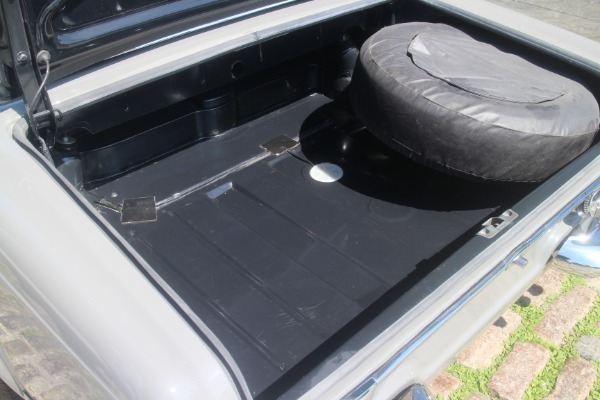 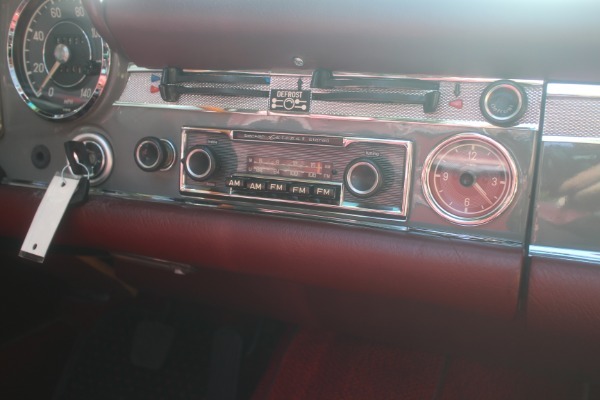 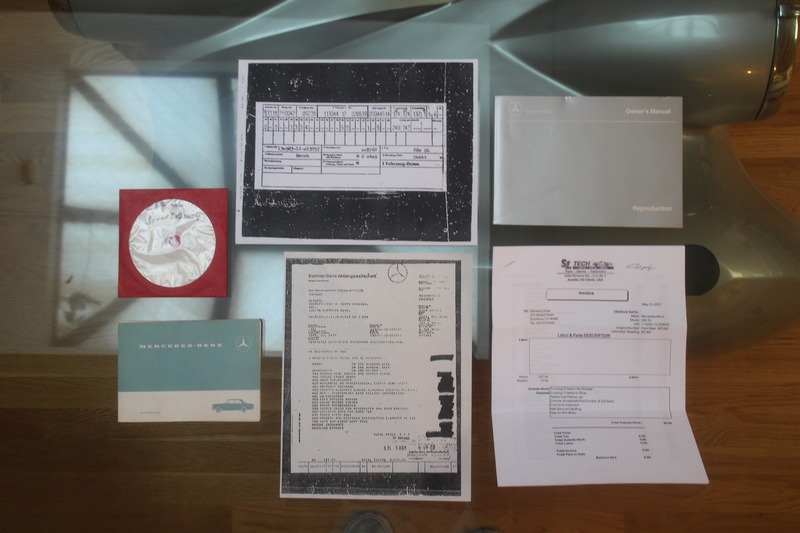 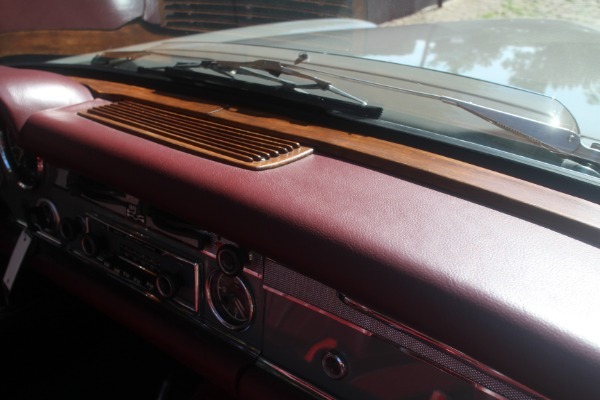 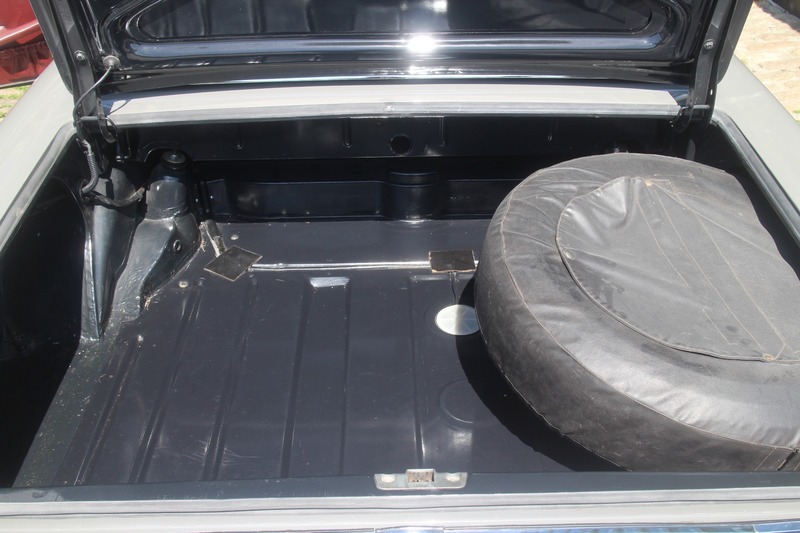 The car also comes with its immaculate factory hardtop, original steering wheel, tools, books and records.